Ex-champion bull rider-turned-cutting-horse cowboy Joe Daniels isn't quite sure how he ended up sleeping in a horse trough wearing nothing but his Stetson and cowboy boots. But now he's wide-awake, and a citified woman is glaring down at him. His goal? Get rid of her ASAP. The obstacle? Fighting the attraction he feels toward the blond-haired filly with the big, vulnerable eyes. When out-of-work wedding planner Mariah Callahan learns that her estranged father has left her a rundown ranch in Jubilee, she has no choice but to accept it. Her goal? Redeem her career by planning local weddings. The obstacle? 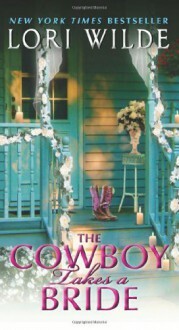 One emotionally wounded, hard-living cowboy who stirs her guilt, her heartstrings, and her long-burned cowgirl roots . . .